Businesses and brands have to stay on top of all of the latest trends. The internet places plenty of demands on brands and businesses these days, which include demands for a constant supply of content. Content creators increasingly have had to become more creative in order to rank well in search and reach new audiences. With so many different types of content potentially available to users, brands and businesses have branched out into many different types of content in order to make impressions. If your business is ready to deploy new content in the form of videos, then you’re definitely going to need a YouTube page. Today, we’ll walk through the basics of setting up your very own YouTube business page. In the past, Google required that a YouTube account be linked to a Google+ account when created. Recently, those restrictions have been lifted. You now have the choice of creating a new Google+ account if you so choose alongside your new YouTube account. There are pros and cons to each, but many brands already have Google+ accounts; these can be linked to your new YouTube account. Once you have made your decision, you can easily sign up via your existing email address and have a new YouTube account and page ready to be customized in a matter of minutes. The first thing you’ll want to do with your new YouTube account is add relevant information int eh description fields. The two most prominent pages where descriptions will be added are the “Home” and “About” pages. It is here that you’ll be able to provide a brief description of what your channel provides, who you serve, what can be found on it, and more. Since pinging URLs on relevant sites is a big part of SEO, it only makes sense that you’ll also add links here back to your website, to social media profiles, and other related destinations. 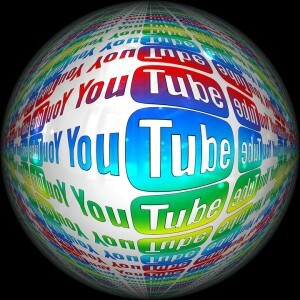 These descriptions and links will not only help search engines more accurately classify your YouTube account, but will also provide your website and social platforms with more traffic. A cover photo is an absolute must for any YouTube business page. It is here that you’ll be able to include your logo, any important details about your company, and a variety of other elements. You can also opt for a more minimalist approach with your cover photo, but the goal should be for a cover image that is both aesthetically pleasing and informative. Ideally, your YouTube cover photo will be 2560 pixels by 1440 pixels. While it can be smaller than that, there will be a loss in resolution quality once uploaded. Because of this, it is recommended that a high resolution image is used for this. Once you have added descriptions, uploaded your cover photo and have started pinging URLs to important profiles and pages, you’ll then want to take a look at the video options available for each business page. You’ll find the dashboard, which shows a lot of unique information about your page. You’ll also find the video manager, which is an essential tool for all videos uploaded. Other important options such as channels and analytics will allow you to interact more closely with your page’s elements and inspect how traffic is interacting with your YouTube page.